The stars, the planets, the moon, the sun--let's learn all about them through music! This collection for Grades 2-4 will travel through space in song, teaching your students all about the solar system. 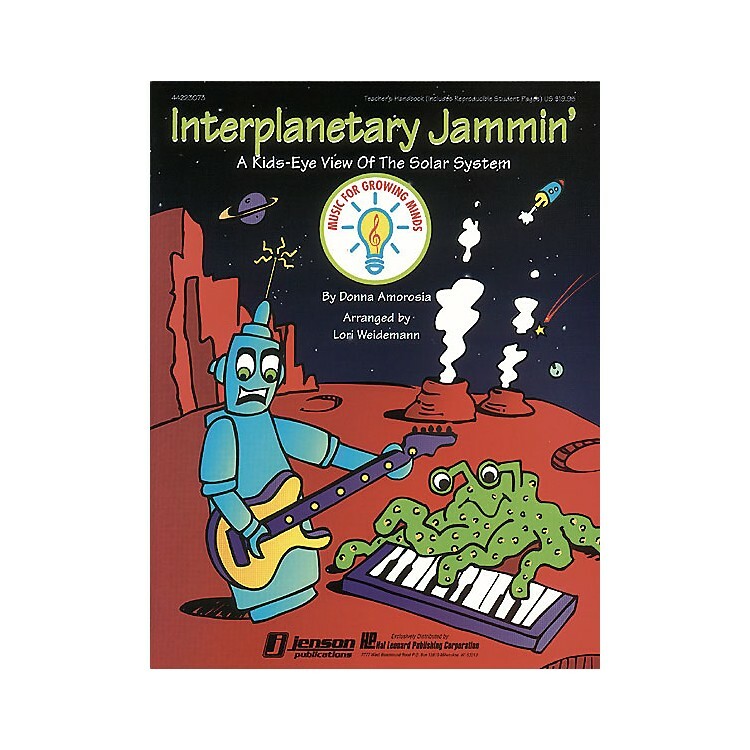 Interplanetary Jammin' comes complete with movement suggestions, an introduction to the solar system, key words, worksheets, and great classroom projects and activities. The easy-to-learn dialogue links the songs together so you can present a 15-minute mini-musical that you can perform with piano alone or the professionally recorded CD. The Teacher's Manual even comes with reproducible student pages to stretch your budget dollar! Your students can enjoy music across the curriculum with this unique all-school project. So be creative, be clever and go out of this world with Interplanetary Jammin'. Available: Teacher's Manual, Performance/Accompaniment CD. Grades K-3.